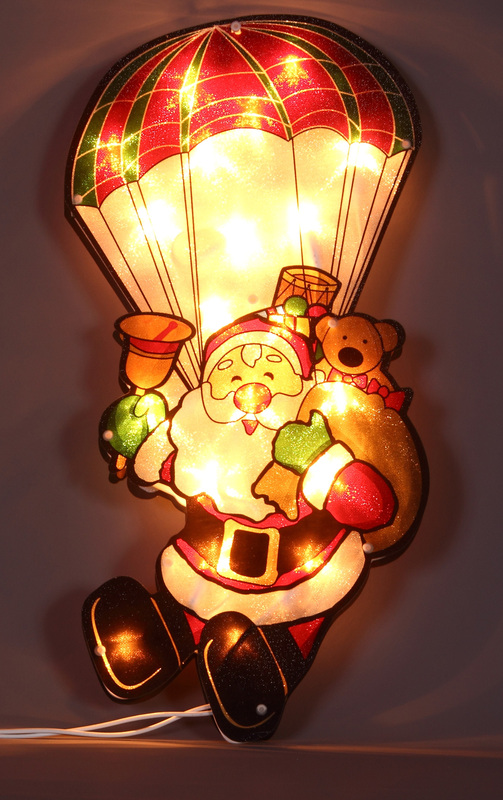 This vibrant Parachuting Santa Silhouette is dropping in on your holiday festivities to wish you all a very merry holiday season. This stunning Christmas light silhouette is dramatic and bright, illuminated by tiny clear bulbs that are integrated into each colourful facade. 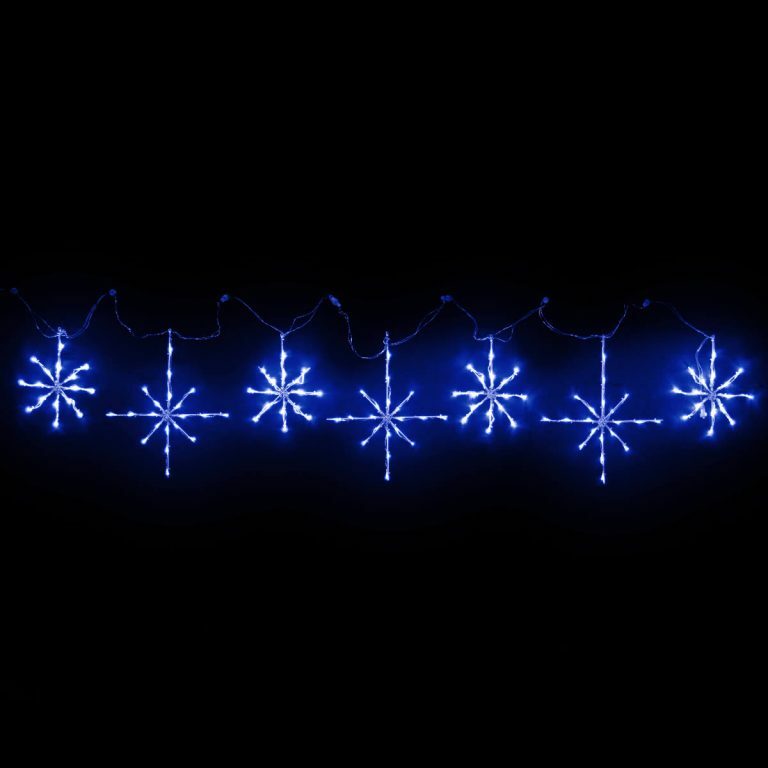 This unique holiday sign measures around 25c, in height, and would make a stunning display when paired with any of the other lighted silhouettes found offered here and sold separately. 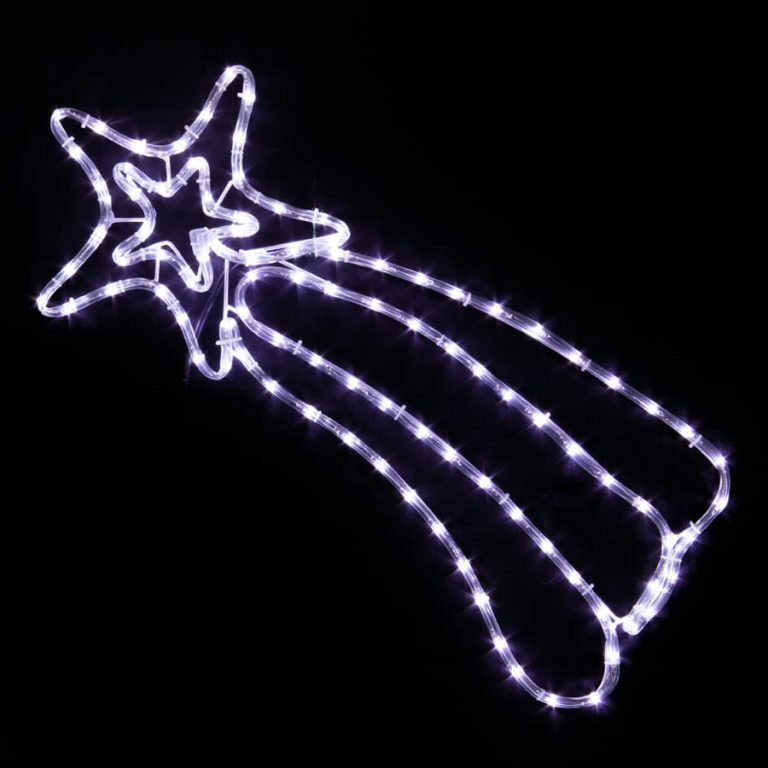 Children and adults, alike, will enjoy the whimsical theme of Santa as he drops down from the skies with his overflowing bag of goodies and gifts. His eyes are closed and he wears an expectant smile as he waits to land- hopefully at your home! He rings his small golden bell to let everyone down below know that he is coming in for a landing! This is a charming and fun piece that will surely become one of your holiday favourites.